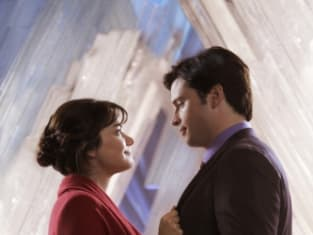 Lois: Because you're my greatest weakness and I'm afraid that I'll be yours. Clark: You're not my weakness. You're my strength. He is ready. This is his time. Permalink: He is ready. This is his time. It's easier than it looks. You just point and shoot really. Permalink: It's easier than it looks. You just point and shoot really. Clark: This is when I would use my super hearing. To listen in on the Marionette voice and see how they operate. Lois: Right! And a big part of that is the squinty head tilt, yes? Lois, I don't think Jor-El did what he did so you can get ahead at the office. There's gotta be someway to turn off this death ray from hell. Permalink: There's gotta be someway to turn off this death ray from hell.